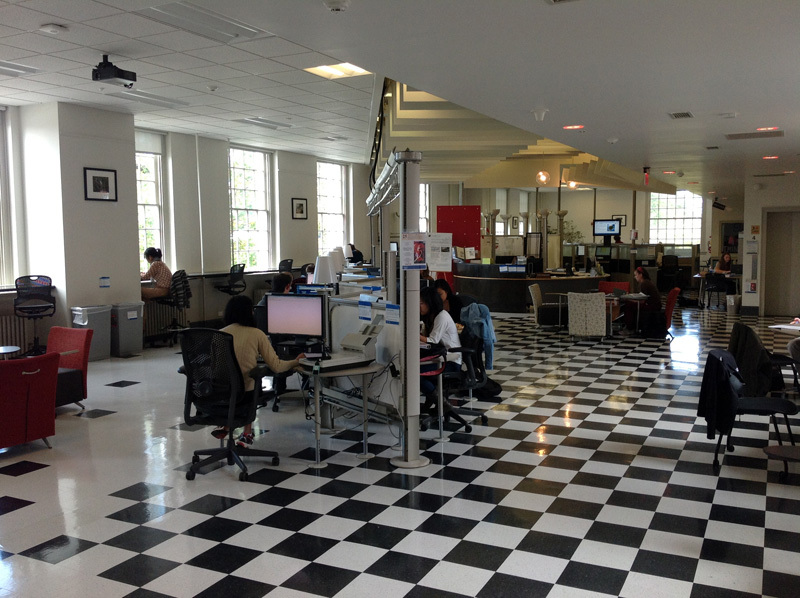 The Scholars’ Lab Common Room provides twenty computer workstations in both solo and small group/collaborative configurations. Sunny and open, it can be enjoyed as study space as well, with additional seating for about thirty-two people at tables and chairs and another fourteen at the laptop bar with a view of the patio outside. We hold regular Open Office Hours during fall and spring term at the discussion area at the south (main entrance) end of the room. 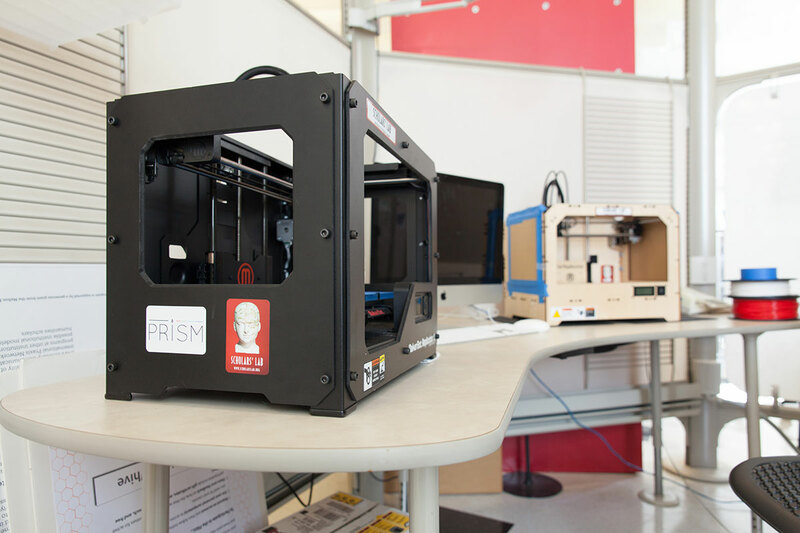 Here is where you will also find our Makerspace. 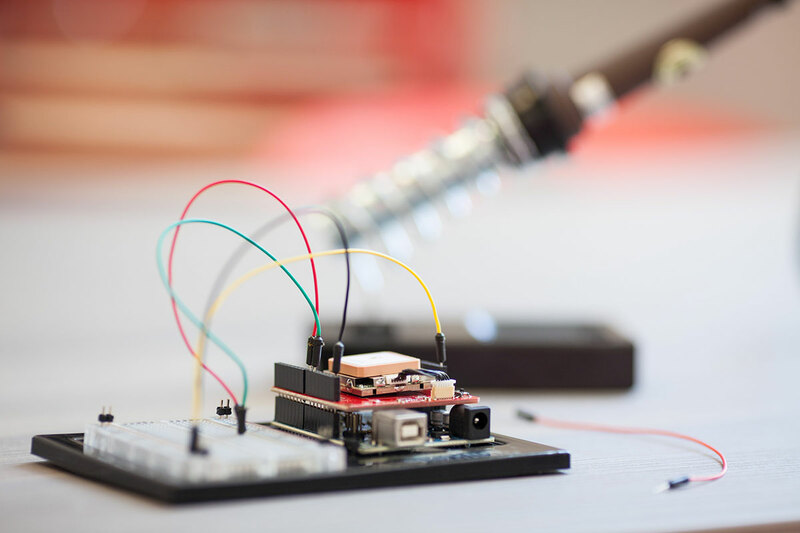 The Scholars’ Lab Makerspace is a place for crafting, tinkering, and experimentation with technologies like desktop fabrication, physical computing, and augmented reality. Open to everyone—absolutely no prior experience needed!—we specialize in hands-on approaches to research questions in the humanities and arts. 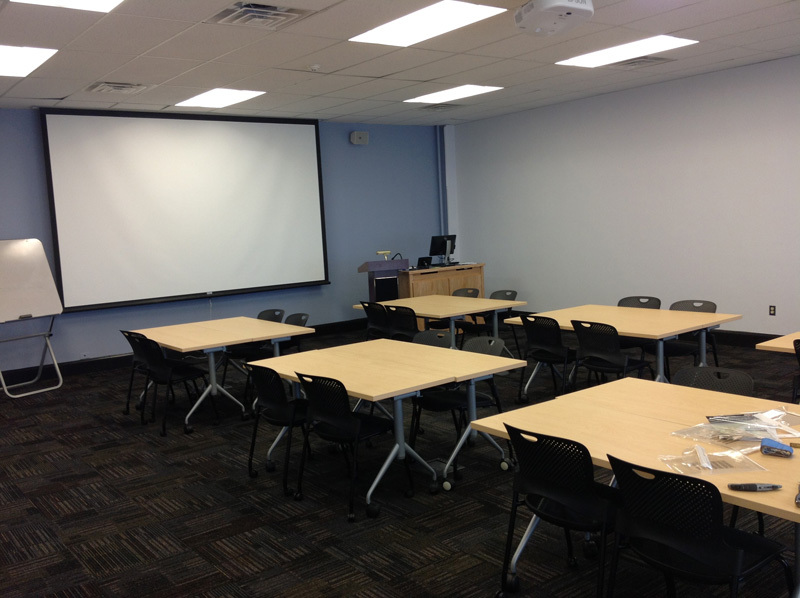 The Scholars’ Lab seminar room is reserved space for library activities instruction, and when not in use as a classroom is available as open study space. Check the schedule on the door for times when the room is unavailable. 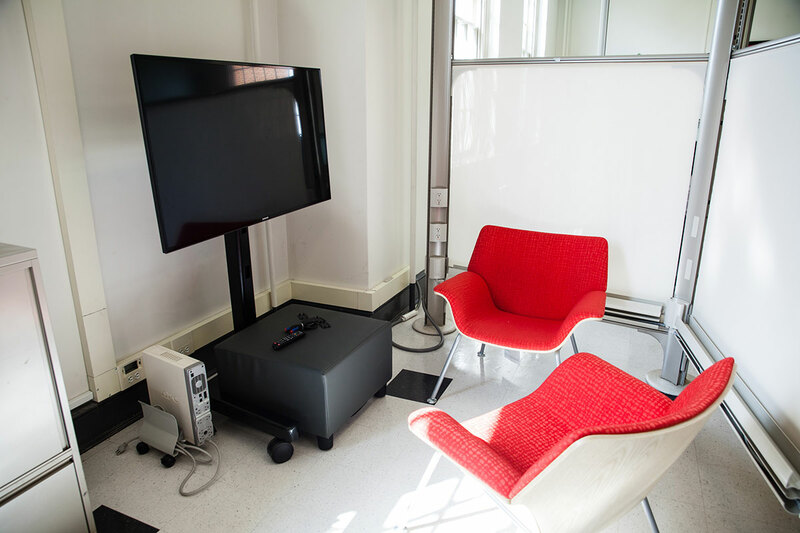 The Classroom is a flexible learning space shared by the Scholars’ Lab and other Library units, providing space for library-related instruction, workshops, invited speakers, and special events. 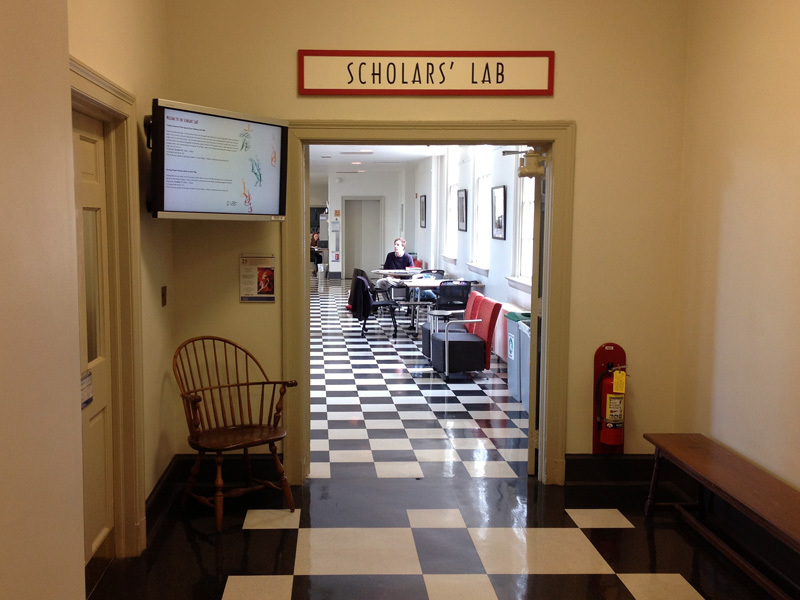 Scholars’ Lab workshops and the speaker series are often held in this room. Please note that overhead air vents in middle of room mean a mic is required for folks in the back half of the room to hear presenters well. 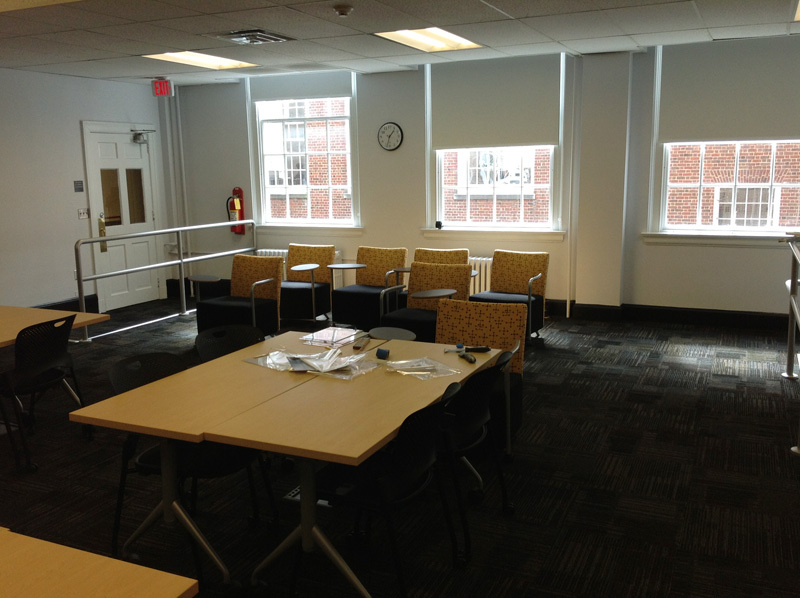 When not otherwise reserved, this room is available for use as open study space, with seating for 30 people at chairs and tables. Check the schedule on the door for times when the room is unavailable. - **Size:** seating for 30 - **Equipment:** 25 Dell laptops; ceiling-mounted projector; instructor workstation with desktop, audio, and video. - **Reservations:** This room is typically available only for library-related instruction and activities. Please contact [libevents@virginia.edu](mailto:libevents@virginia.edu) for more information.